Get Ready to Charge Your Batteries At The Ellwanger Estate B&B. 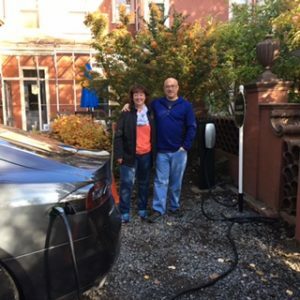 The Ellwanger Estate Bed and Breakfast teams with Tesla Motors to become the area’s first lodging host to offer a Tesla Destination Charger for overnight guests. 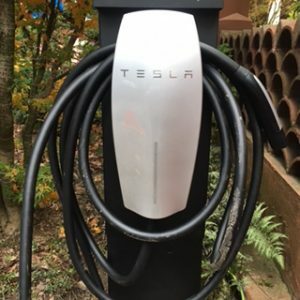 Tesla Destination Charging is now offered as a new amenity for overnight guests. This installation makes The Ellwanger Estate a new hot spot on the national electric vehicle map. We are a very green B&B, devoted to energy efficiency, conservation, reuse, recycling and a hypoallergenic guest environment. Tesla’s focus on pure electric technology seems a perfect fit. 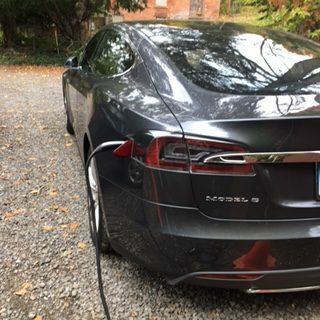 We offer a full complimentary charge to our Tesla overnight guests. Just enter “TESLA” under special accommodations, when you reserve your room online to let us know you would like to plug-in. This is an added amenity for our Tesla and Electric Vehicle guests, but you must let us know in advance to reserve parking for your charge. The Ellwanger Estate B&B is proud to offer just one more example of all our exceptional amenities, making this the ideal home-away for both leisure and business travelers.